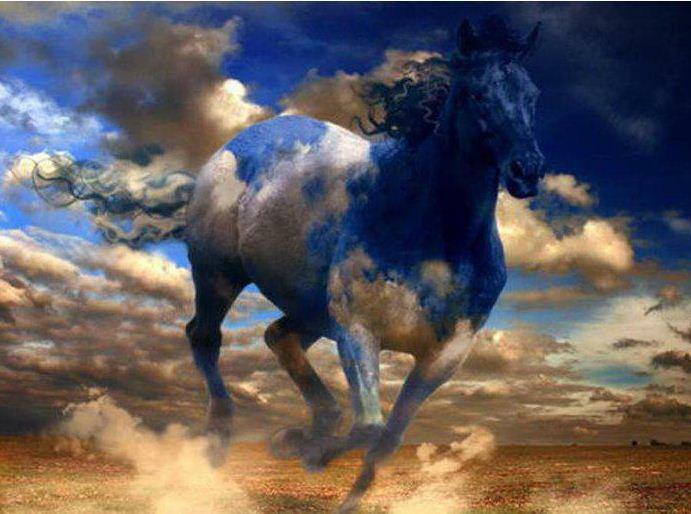 If Oklahoma Gets Their Foot in the Horse Slaughter Door ~ It’s All Over ~ SIGN NOW. In Addition to Signing Petition, PLEASE Make Phone Calls. Oklahomans do not kill and eat their horses and we do not kill and eat them anywhere else in the United States. SB375 if passed would repeal our existing Oklahoma State law which prohibits anyone from possessing, transporting, selling or consuming horse meat. Therefore making horse slaughter and human consumption of horse meat legal for the first time since 1963 in the State of Oklahoma. HB1999 if passed would make horse slaughter legal in Oklahoma without repealing our current horse meat law as long as the horse meat is not sold in Oklahoma and only to outside entities, meaning outside the state or outside the United States. Both bills are bad for our domestic and wild horses, Oklahoma tax payers, rural communities, and for the image of Oklahoma as a horse friendly state. Over 80% of Americans are against horse slaughter and the consumption of horse meat. A solid reflection of how consumers and horse industry participants vote and spend on this issue is clear, as every attempt at re-opening horse slaughter plants in the United States since 2007 has been met with fierce opposition across the nation. PLEASE CLICK HERE to Sign Petition and MAKE THE LIFE-SAVING PHONE CALLS. Posted on February 10, 2013, in Animal Rights and tagged HB1999, Horse Slaughter in Oklahoma, SB375. Bookmark the permalink. 17 Comments. PLEASE ACT NOW AND STOP HORSE SLAUGHTER FROM RUINING MY STATE OF OKLAHOMA AND YOUR STATE NEXT. You got it Jan! United we can save horses from slaughterhouses opening…all for one and one for all. I don’t know these lawmakers are thinking. Oklahoma is the horse capital of the USA right? The bills ought to shot down and then the politicians backing these two bills should be taken down and shamed! Signed, shared and tweeted. To even consider this seriously cast a horrible light on the State of Oklahoma. Hopefully they will follow the lead of New Mexico and throw this bill out on it’s ear along with Mark Allen and Skye McNeil. This is a barbaric practice, WHY would anyone slaughter a HORSEW for MEAT??? I live in California and we would never do this! This cruelty must stop now. Lets get together and find a less offense and humane way to control population. This cruelty must stop now, these are God’s children, they have rights too. People have no right to kill other life forms. Please find compassion and mercy in your hearts and stop this evil killing now. I’m from NJ…can I sign? Mark Allen and Skye McNeil are going to ruin our CATTLE industry here in Oklahoma. Both, I’ve read, stand to personally profit from slaughtering horses, 90% of which are young and perfectly healthy ready to work or ride. Is it true that an ethics violation has been filed against Skye McNeil? Somebody ought to look into this since she and Allen are going to ruin our cattle industry. European beef sales are down over a BILLION DOLLARS because of horsemeat. And we’re next… STOP THEM NOW.